This significant retrospective at BOZAR is dedicated to the artistic career of Italian painter and printmaker Giorgio Morandi (1890-1964). 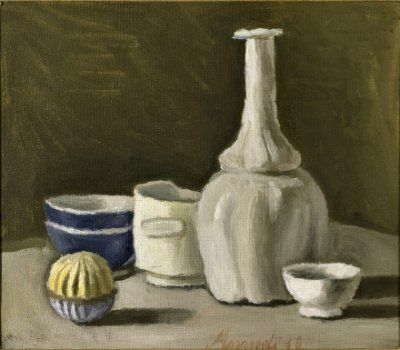 The show contains about 100 works including canvases, watercolours, drawings and etchings by Morandi, who specialised in the still life genre and was influenced by artists as diverse as Giotto and Cézanne. The exhibition examines Morandi's principal themes, from still to landscape, and is curated by Maria Cristina Bandera. Morandi's works are complemented by a number of paintings on show by contemporary Belgian artist Luc Tuymans whose work has been influenced by Morandi.